So I started playing around with EQ7 this morning. I have successfully read through the entire user’s manual (at Jiffy Lube, during lunch breaks, falling asleep). I wasn’t at the computer while reading, but I at least have heard of the terms used in the program a little bit at this point. I thought I had a good handle on how to navigate EQ7, and considering my experience in photoshop, thought that the whole thing would be a piece of cake to navigate. Well, it’s OK, and I don’t know if it’s just my lack of experience or what, but I have been taking longer than expected to handle the navigation of the program. You put everything you want to do in your sketchbook before you use it. And then you have to color everything. 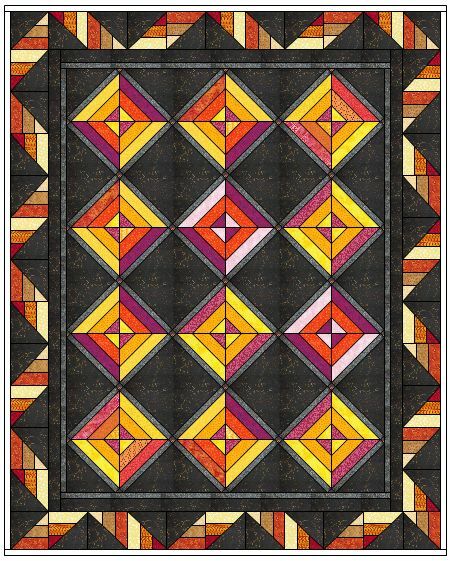 I haven’t even figured out how to color a block and then put it into a quilt that way – all i’ve used on colors is preset color choices and then changing them to colors I want. 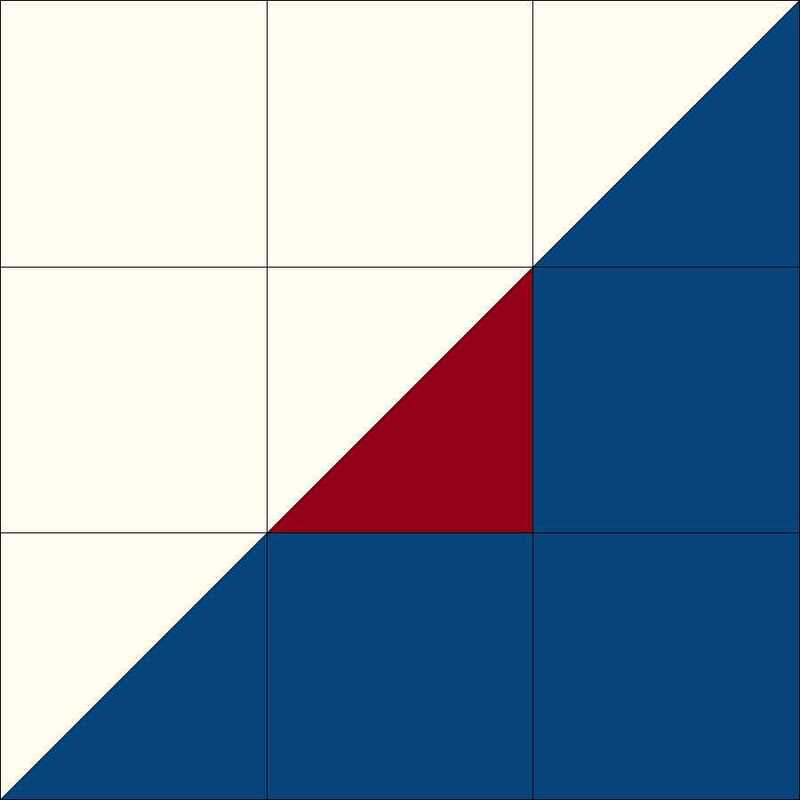 But what if I chose to keep some blocks different colors (or the same) than what the presets? I did a drawing with freedraw (or some name I don’t remember) and used Serendipity to make it kaleidoscope, but then I couldn’t put my new kaleidoscoped block into another block. I suppose if I export the block I may have the control I want, but the program said that it couldn’t do what I wanted to at the time. And I didn’t notice that the coin quilt block was there, and I was having a hard time with making my spectra quilt until I just imported each spectra as a photo. This size may make a nice table runner, my overall size is 19.5 X 34 inches which fits the space I have wonderfully. 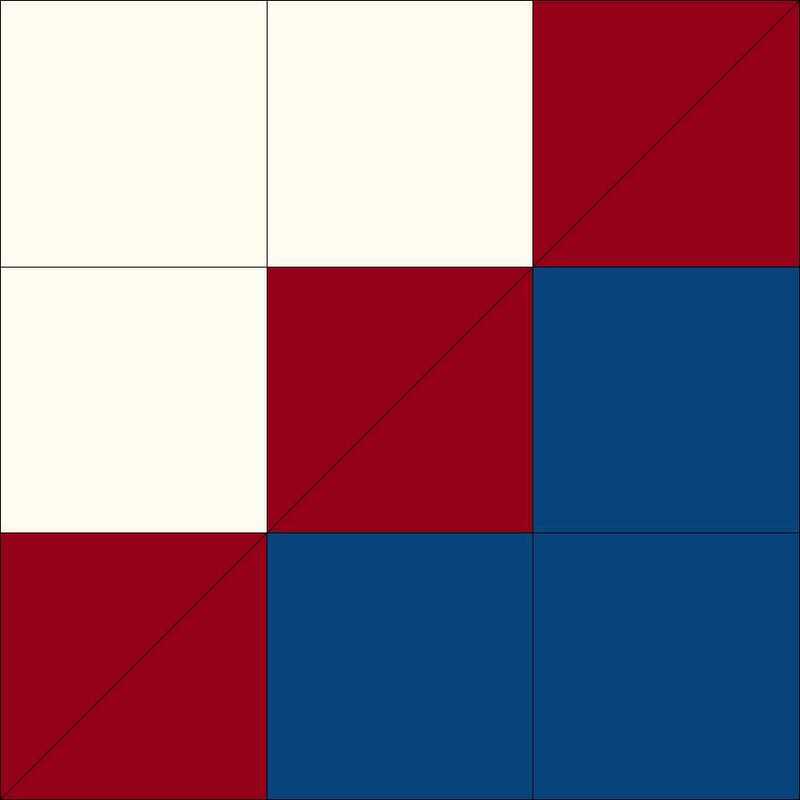 I didn’t have a sashing option by doing a vertical strip quilt style, and since this is based on a photograph this was overcome by making the sashing strips the size of my inner ‘blocks’. I was hoping for some more help in figuring out exactly how wide each spectra would have to be, but I did the math and a little Dimensional Analysis (yes science, math and chemistry practice has come in handy here!) and played around with my quilt size to make the math easier and I have a lovely start on my spectra quilt – USING PHOTOSHOP. Sorry folks, but I had to go back to my old standby when I kept trying to zoom in farther and farther on my picture within the completed quilt and couldn’t get the thing to do what I wanted it to do. Having 10 years of playtime on photoshop probably made it easier to figure out how to get the program to behave better than a program I’ve had for a month and a half which I haven’t taken computer time to decipher yet. Set a grid up. 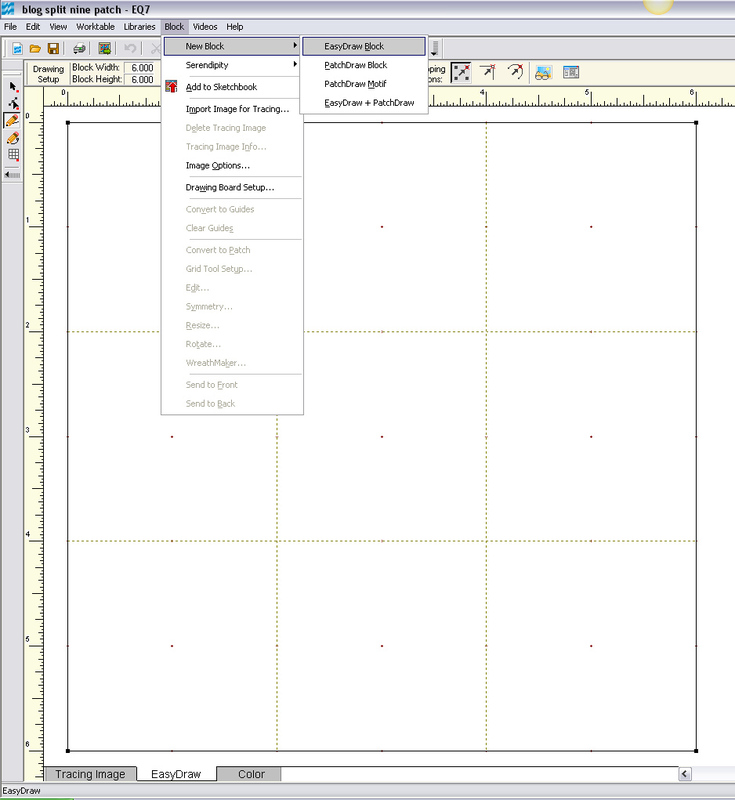 The grid is modified in Edit/Preferences/Guides,Grids&Slices. 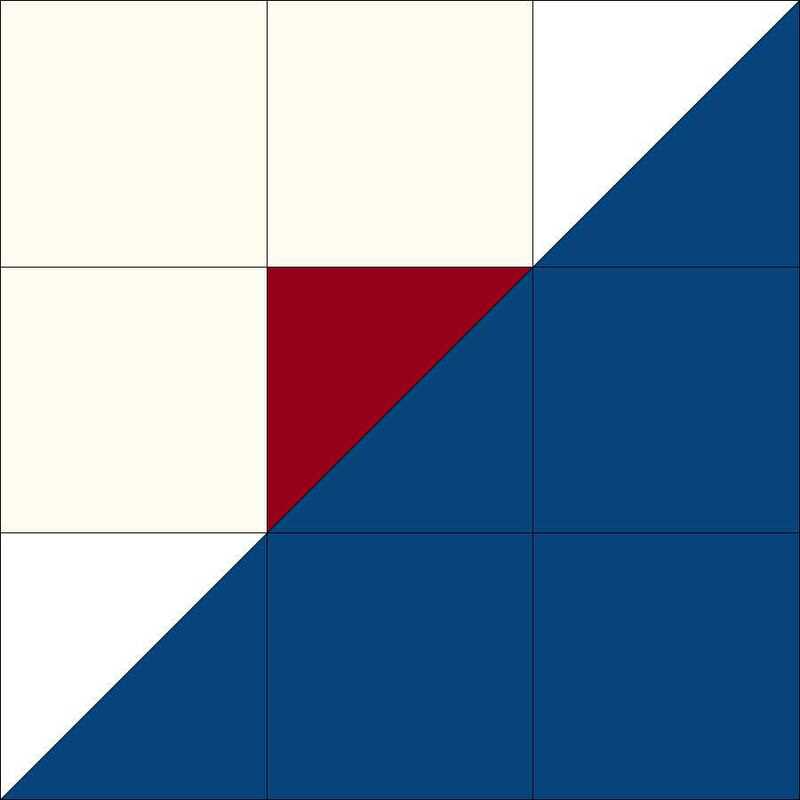 I set up grids every 4 subdivisions every 4 pixels. Using dots. Zoom in on my original picture far enough. Each ‘dotted box’ I put a colored dot just along the side of the picture. New color, every 50 pixels (two and a half purple dots) put a dot (yellow). This made it easy to count the total number of pixels in each row, and gave me a fairly accurate idea of where in each row the colored lines were. I had a total of 310 dots, so I made the length of the quilt 31 inches so that each inch would be 10 dots. I really should go metric with the calculations from here, but no one sews a metric seam allowance. If you feel the urge, I know that 2.54 centimeters = 1 inch, so you can do some more dimensional analysis to figure it out if you so choose. I put all these dots on a new layer in photoshop so I can move the layer around to each of the strips and ‘count’ where the lines are. The strips are all about 1/10 or 1/5 of an inch finished, but I don’t have any bias tape makers that go that far, so I’ll have to get out my bias bars and use the thinnest one available. This makes me happy that at least I am thinking about this project – AND I am using math – AND I am using dimensional analysis – something for which both chemistry and physics heavily prepared me. But today, a sewing day, I worked more on my black and white quilt. Black and white borders complete, sewed onto the quilt (measured heavily because of how I had to strip the setting trapeziods) and started on my ‘handdrawn celtic border corners’. 12 total. 1 down, 11 to go. This, in no way, is a negative review of EQ7. I haven’t discovered the possibilities yet on this. But it is a reflection that I need to use the things I can do with EQ7 and the things I can do with photoshop and put the talents together while I learn and play with the possibilities (and limitations) of both programs. I know people would like a podcast/review on EQ7, and I have to wait to know what is going on before doing so, but when I get to it, I’ll see if I can cook up something. It felt very nice to not only be creative today in the computer programs, but also very comfortable to be doing the math that I’ve been avoiding unnecessarily. Incredible how odd that feels to say, but so very true.